Joy to the world with 735 dogs! One of the most satisfying things to go home to after a day’s work is a dog wagging its tail in excitement of its master’s arrival. This is true for dog owners who happen to be hard-working people stressed all day, say, engineers. If one has over 700 of these dogs, what does that tell about his or her therapy? Only a software engineer from India can answer this. 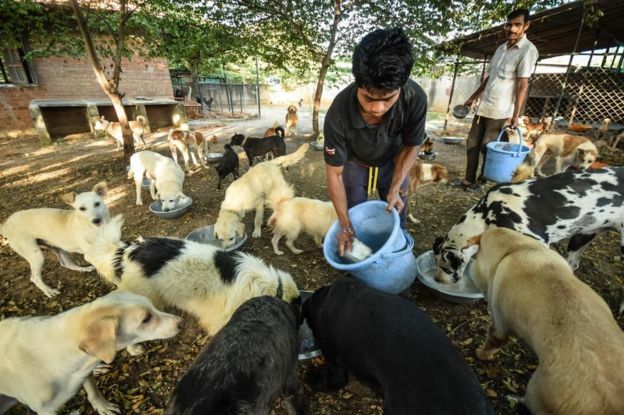 Rakesh Shukla keeps more than 700 dogs, or 735 according to last count, in his three and a half acre farmhouse near the capital of the southern Indian state of Karnataka. 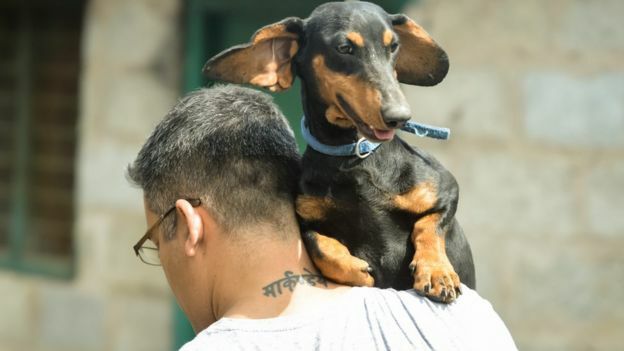 At the compound, 45-year-old Shukla looks after a wide breed of dogs: Labradors, Golden Retrievers, Great Danes, Beagles, Dachshunds, Rottweilers, Saint Bernards, and a Pug. There are also mongrels and strays, abandoned by their owners, which make up a huge population of the kennel. “I’m the last stop for these dogs. They are no longer cute and cuddly. 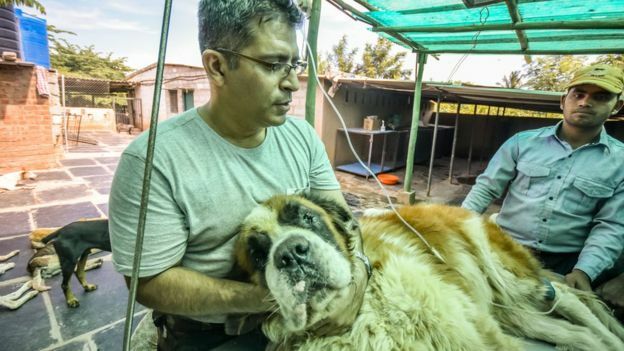 Many are sick and no longer wanted,” says Shukla, who responds to the name “Dog Father”. 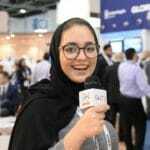 He founded a software company called TWB, which creates content and outsources technical communication, along with his wife 10 years ago. Now, he makes sure he spends three to four days a week in his dog shelter to take care of the canines. It took a 45-day old Golden Retriever to turn his life around. That was 2009. 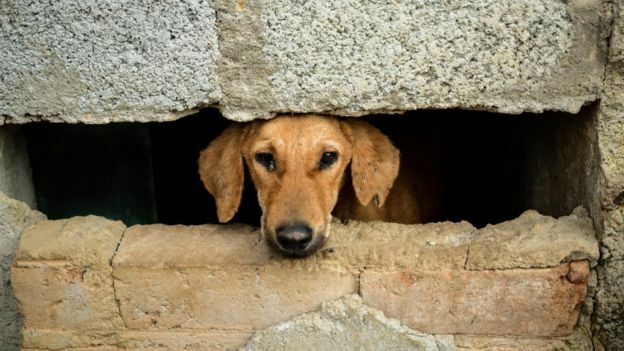 Name Kavya, the dog was the first to arrive among the 700, which is why she is so special. 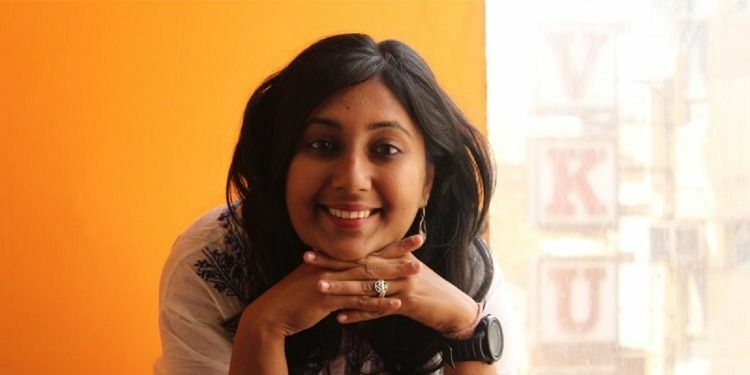 Shukla recalls, “When we got home, she went and hid in a corner. I got down to her level on the floor and I was calling out to her. 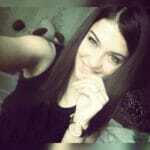 She was looking at me, she was scared, but I could see she wanted to trust me. 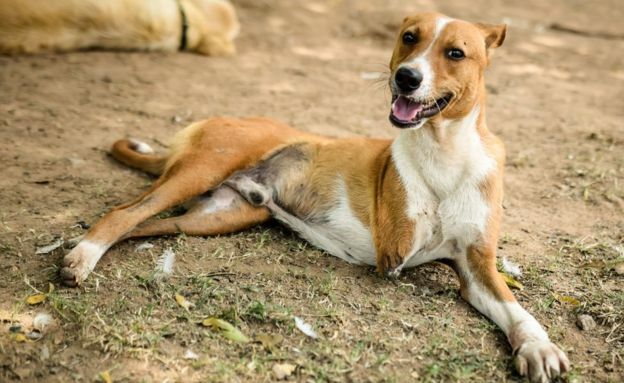 The second dog that Shukla took home was named Lucky, three months after Kavya was taken home. She was rescued from the streets wet and miserable due to the unceasing rain that went on for 12 to 13 days. A little later, a third one was adopted by Shukla called Bella, also a stray. 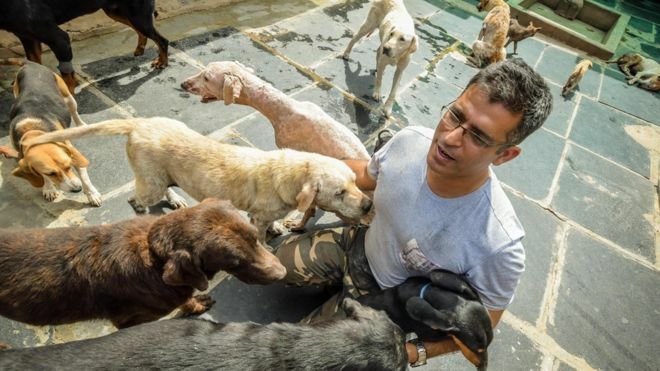 From that day on, Shukla kept at his home every stray or abandoned dog that he sees or encounters. Until such time that his wife had to say no, he moved some dogs to the top floor of his office building. But when that no longer worked as his kennel grew, Shukla had to find a way to keep all the dogs someplace else. He found a land in Doddballapur town, bought it, and transformed into a farmhouse. Now the dog shelter is kept by 10 people, including trained veterinary assistants, that Shukla hired to take care of the dogs everyday. It features a lot of open spaces for the dogs to run around, ponds to swim in, and double fencing to keep all the canine safe. 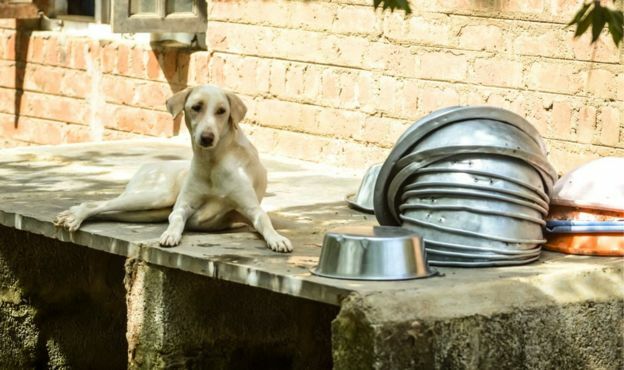 On a daily basis, the dogs are supplied with 200 kg of chicken and another 200 kg of rice for their food. This is other than the medicines and attention for the dogs which need them the most. To maintain this kind of dog shelter, of course it takes a lot of money. Shukla claims that he shoulders 93% of the daily funds which amount to a total of 45,000 to 50,000 rupees ($661 to $735). 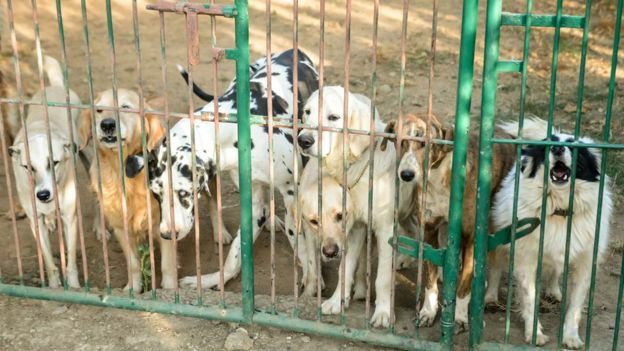 There has been a pressure to Shukla from animal activists to shut down his kennel because he refused to be allowed into the farm. Many also complain about him creating public unrest by keeping so many dogs.